(Guests under 14 must be accompanied by an adult). 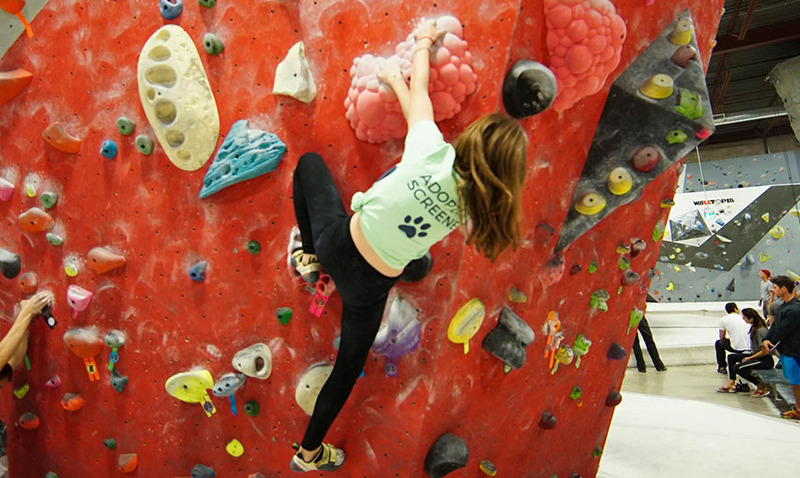 This basic entry package is available on your first visit to Boulderz. It includes an orientation to the gym, a trial two-week membership and equipment rentals for the duration. 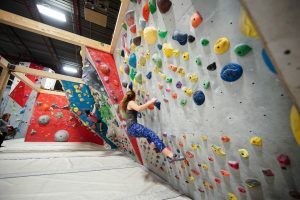 Staff will introduce you to Autobelay (roped climbing with a special automatic belaying system) and basic Bouldering method (climbing lower structures protected by a soft gymnastics style landing pad, no ropes or “belaying” necessary) and you’ll be climbing in just a few minutes. A natural extension to this program is our Beginner Bouldering Lesson, and our Beginner Belay Lesson, please ask for details. Our facility comes fully equipped with a variety of training apparatus, so that you can get a complete workout to complement your session. Participants under 18 MUST have a WAIVER FORM completed by a parent. Participation in this program gives 50% off a one month membership, some conditions apply, please ask for details. 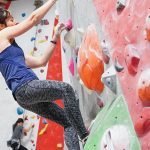 Learn and practice all the basics of bouldering including: risk management strategies, climbing techniques, how to learn new movements efficiently and increase your stamina and power on the climbing wall! Book online or call to register. $45 + HST per person Access to both locations! Includes a Two-week membership with shoe and harness rental included. Learn how to TOP ROPE BELAY! Lessons must be booked in advance. Groups of 6 or more can book outside regular lesson times. Comprehensive lesson (90 mins) on top rope belaying and risk management strategies. The name says it all. This class is designed for adults and “adults” looking to improve their climbing in a group setting with an instructor that will lead you through skill development, technical practice and strategies in climbing and bouldering. 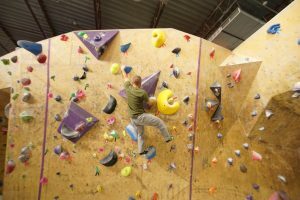 Before taking this class make sure you have taken the “beginner lesson” and/or have already passed your belay test at Boulderz, and either bring your own climbing gear or be prepared to pay for rentals. Otherwise, a very basic understanding of bouldering and roped climbing is all you need to be able to participate. 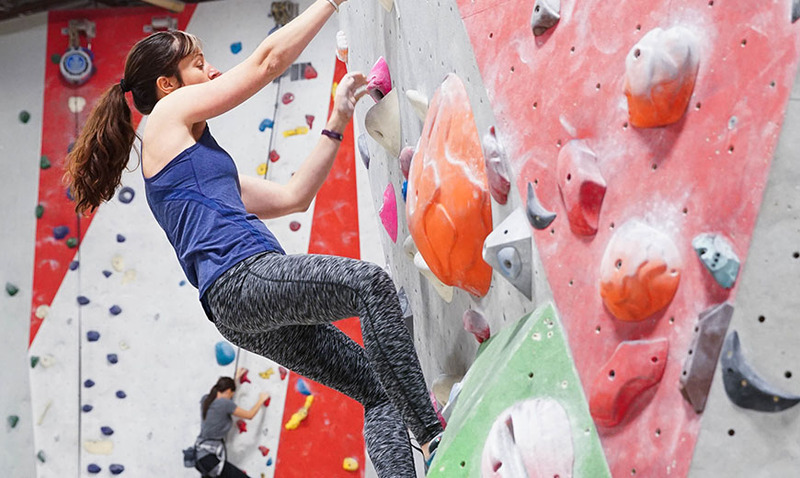 This program is designed for climbers looking to reach climbing goals and push past plateaus. This 8 week program focuses on setting up and executing a personalized training plan. Topics covered include warm up/cool downs, injury prevention, project strategizing, strength, power, endurance and general fitness. We welcome new moms and their babies in their first year of life! 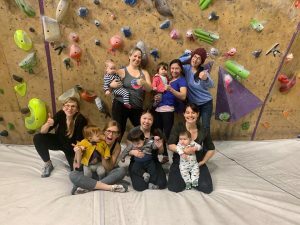 This climbing training session is for experienced climbers, for moms who want to improve and for beginners and intermediate level, there is instruction on safety, technique and movement. Recommended six weeks postpartum, or as approved by your health care provider. Use of various areas of the climbing gym are limited to registered Mommy Rok participants ONLY, and the gym will be open to general public. Stroller storage is limited, please bring your folding stroller and a blanket for your child. 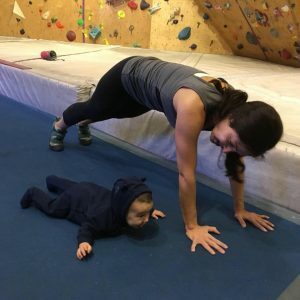 This class targets fitness and recovery after child birth. Registration is limited to women only. Call or book online to register in advance, “DROP-INS” are welcome but subject to limited availability. This is a 2 day course. The 2nd day builds on Day 1, with practice time in between in order to master the concepts from Day 1. 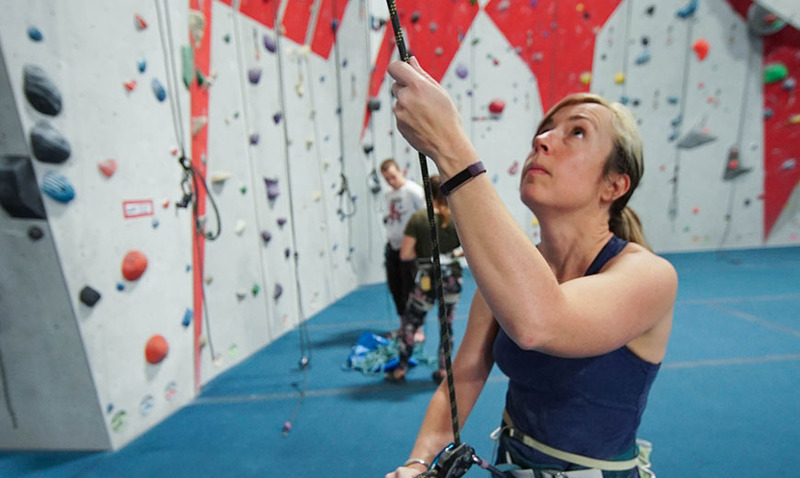 Note, this course is designed to teach lead climbing in the climbing gym environment and does not prepare for the variables encountered in outdoor lead climbing. * climbing and belay assessment is ongoing throughout the course, lead test is scheduled separately after completion of the course. This is a 60 minute intensive session for those looking to improve climbing technique. This is suitable for anyone at all fitness levels or age. 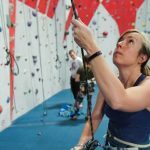 Or you may be considering developing your current climbing ability and want to improve on a climbing project outside or improve your endurance in a competition setting. We will ensure that all lessons are value packed and fun. For all levels or elite climbers and must be booked and paid in advance. Bookings must be emailed or called in to book with a staffing coordinator. 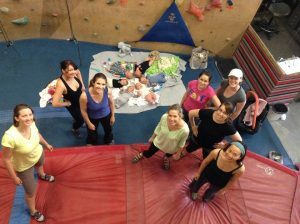 This is a group climbing session with an instructor for up to 2 hours. The belay package also includes shoes and harness rental. Perfect for those that just want to climb, climb, climb! Group belay sessions must be booked in advance. 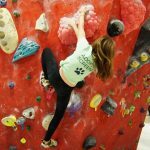 These sessions can be made during day time hours and are great for school groups, scouts, church groups etc… and the climbing experience can be tailored to your groups needs. Sessions include physical training, stretching, mental training, nutrition, competition strategy and more. 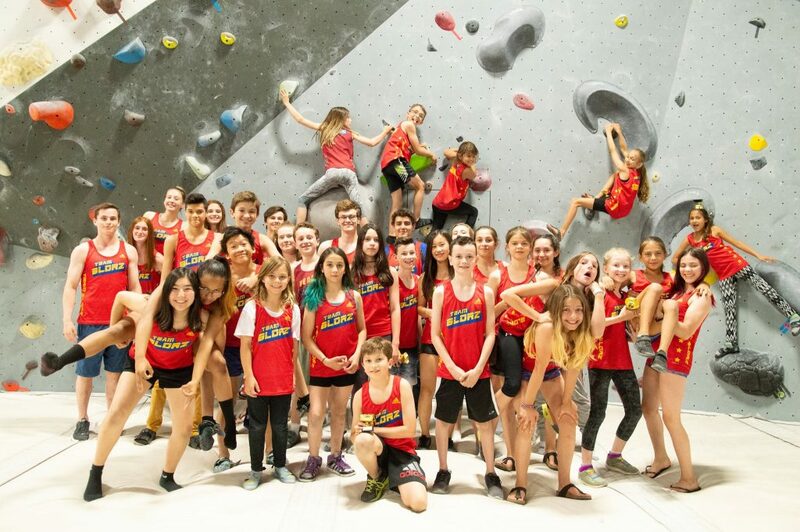 Participation on the Boulderz Team is by tryout or invitation only.